Who doesn't like sweets? Learn how to make your own jelly sweets, lollipops and other colourful sweets with the Sweet Factory of Science4you. 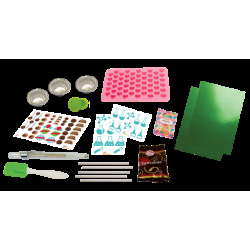 Experiment and create your own sweets with your favourite flavours. 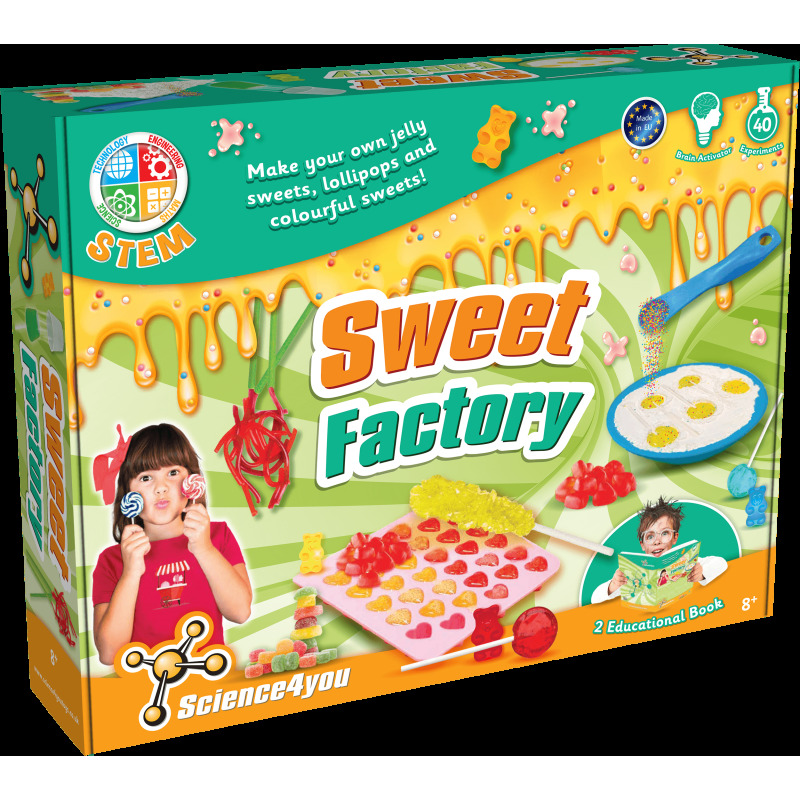 You also will love cooking your favourite snacks while learning a lot about science. 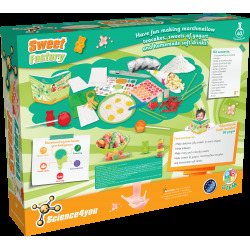 It includes up to 40 experiments for kids as well as two educational books with 28 pages each one.